Sometimes we all forget the basics. This is especially true when it comes to SEO. Search engine optimization is such a volatile and ever changing landscape that even the pros sometimes forget, or over look the basics. We get wrapped up in dissecting the newest Algorithm change and adapting to them that we sometimes overlook the obvious. Let's touch base on a couple that we see happen often when business owners attempt SEO on their own. Yes, keywords are still very important to on page and off page SEO. While Rank Brain is learning away, we do see that with some of our clients sites that they rank for words and terms that are NOT on their site, and are synonyms or LSI keywords. Still, it's very important to have as many sprinkled throughout your content AND in your backlink profile, (use sparingly for backlinks). Failing to do keyword research. Nailing a keyword list is going to be the bread and butter for your site’s SEO. In fact, you can think of every keyword as a breadcrumb, trailing users to your site. But in order to create a successful list, you need to not only think of the most basic words to identify your brand. These are the words that consumers are going to be using to start their search. But you also need to consider your competitors. If, for example, you’re a locally-based eCommerce site for specialty foods, such as gourmet cheese, the terms “specialty foods” and “gourmet cheese” are probably first going to come to mind. But how many other sites out there are already using these words? Probably millions. So, you need to take things one step further by creating a long tail keyword. This would be something along the lines of “best gourmet cheese in Denver.” And here’s where our third what-not-to-do comes into play. In the above example, choosing to feature one of your specialty foods—cheese—was a smart move in narrowing down the search competition. But smarter yet was the choice to incorporate the name of your city. This step localizes your search terms, an extremely important SEO step, especially for retail brands with physical locations. In fact, 50 percent of Smartphone shoppers, who search locally on Google, end up visiting physical stores on the same day. If your brand is failing to optimize itself for local searches, you are going to miss out on an entire pool of customers. Most importantly, given their close physical proximity to your brand, these customers are the ones you should be converting into brand loyalists. When creating your target keyword lists, be sure to include local search terms. That's good content from Gabriel, especially about not forgetting to add Geo modifiers to your keywords. Local is important for most businesses as they don't serve the entire US but only their local city or county. As Google gets smarter it picks up on users location and will direct them to businesses that solves their search query. In fact, with most searches now when you search for something you will see in Google suggests the "near me" appended to your search term. So don't forget to localize! We recommend you check out Gabriel's article because of his next point being speaking like a human, which kind of ties in with keywords and voice search. URL architecture can be a difficult thing to fix without breaking other aspects of your SEO, so we don’t recommend rushing into this, or you might do more harm than good. That said, one of the most frequent issues I come across is a lack of solid URL architecture. In particular, folder organization is often spotty. Blog posts listed in multiple categories, resulting in blog posts listed in multiple folders, creating duplicate content issues as a result. URLs with no folders other than the parent domain. While this is precisely the form your most important pages should take, pages further down the hierarchy should be listed in folders to categorize them. URLs with folders that are, themselves, 404 pages. If a URL is listed under a folder, many users expect that folder to be an operational page. From an architecture perspective, it’s semantically confusing, and from an internal link perspective, it’s ideal to have links to these pages from a parent folder. Junk URLs full of numbers and letters. These days, these are primarily reserved for search result pages and database queries that aren’t intended to be indexed and found in search engines. Your URLs should contain useful information intelligible to a human if you want them to contribute positively to your performance in the search engines. In addressing these issues, there are two complications you want to avoid: creating 404 pages and losing existing link authority. When you change your URL architecture, you need to make sure that the old pages 301 to the new ones. Ideally, any internal links to the old pages should also be updated, since PageRank is reduced by the damping factor every time it passes through a link or 301. As an exception, if blog posts are listed in multiple categories, a 301 isn’t always necessary, but in its place you should canonicalize to the preferable page. His first point is one that we see all to often. A blog post that is listed in several categories resulting in duplicate content penalties. It's important to note that in every test we have ever done on duplicate content, the only time it ever results in a penalty is when it is duplicate content on the SAME site. His last point is also another one that can't be overlooked, not properly setting permalink structure. We do run across this from time to time. We have seen that through updates that sometimes the permalink structure gets changed for whatever reason and must be reset. Don't forget about the basics, they still work. Keywords in your content and backlinks as well as keyword rich titles and descriptions, H1 and H2 tags with LSI's. Lastly, make sure your permalink structure is correct and hasn't changed or been altered by mistake. Your website is ground zero for all of your online marketing. Whether you are using video, social media, adwords - you name it, everything points back to your website to convert visitors into customers. However, if your site isn't performing at it's peak, then you maybe losing sales. Here are some great tips to make sure you are getting the maximum potential out of your WordPress site. There are a lot of factors that come into play when optimizing your site not only for search engines, but customers as well. As search engines become smarter, it does get a little easier to combine your optimization efforts to please both. If you have followed any of our posts on Web Design, you know that we have been mentioning for awhile that your site needs to load fast. If your site doesn't load in just a couple of seconds, users will hit the back button to go to another site. Site load speed is also a ranking factor in search engines. So making sure your site loads fast is probably one of the biggest factors in getting the most out of your site. To learn more about how to make your site load faster, see our post "Speed Up Your Site For Better Rankings And UX". This last one will catch you by surprise at the worst moment. You get your 15 minutes (or 15,000 visitors) of fame, only for your host to tell you … nope! Not on their watch. There it is, in the fine print of your hosting contract … you’re only allowed a certain number of visitors or so much bandwidth … which means all your new prospects land on a page that says your website is down. It’s smart to keep your costs manageable when you’re starting out, but losing potential customers because of penny-pinching isn’t so smart. How many clients or customers can I afford to lose to a bad web experience? Read Chris' full article "10 Often Overlooked Website Mistakes that May Harm Your Business"
It's a great point from Chris. We like how he makes the connection between cheap hosting and "hobby" hosting. It's true. You need to stop and ask yourself if it's worth saving a few hundred dollars a year on hosting costs that could literally be costing your business tens of thousands of dollars in sales due to a slow loading site or not loading because of exceeding your monthly bandwidth. Are you running a business, or is it just a hobby?? Next we move onto more things on your WordPress site itself. We have covered about how important it is to keep your site's themes and plugins updated. "Is Your Website At Risk Of Being Hacked" explains how important these updates are in keeping your site secure. Sometimes these updates can also lead to how well your site performs, or doesn't. When you first install WordPress, your database starts off so clean and tiny. But as you start “living” in your site, your database starts picking up all kinds of junk. It’s like dust in your house. You didn’t do anything to “cause” the dust…but it still accumulates and makes everything look dirty. Posts revisions, transients, table overhead, spam comments, and more do that to your database. Each individual database entry isn’t a big deal…but combined (like those specks of dust), they can make your site a big sluggish. You can also Sweep All at the bottom of the page – though I don’t recommend it because you might wipe out your drafts. It’s usually better to go through each category individually to ensure you don’t remove important information. Broken links are bad for user experience and, to a lesser extent, SEO. They make it harder for humans to use your site and robots to crawl your site. They’re difficult to find manually…but with the right tool (Broken Link Checker), you can instantly sniff out every single broken link on your WordPress site. You can hover over each link to quickly edit it or remove the link. Because some people say that Broken Link Checker can slow down the wp-admin dashboard, I recommend only enabling the plugin specifically when you want to check for broken links. Read Colin's Full Article "9 WordPress Maintenance Tips to Keep Your Site Running Smoothly"
One of the greatest things about WordPress are the plugins. There are thousands of them. What you must remember is that "the more the better" rule DOES NOT apply here. Too many plugins will slow down your site, while some plugins are hogs and can really slow things down. As a general rule, we try and stay away from "Swiss Army Knife" plugins that do "everything" for you as they tend to be the worst. Also, the more plugins you are running the greater your chances of having a conflict resulting in again the "white screen of death" or the site not functioning properly leading to poor user experience. Try and use the minimum amount of plugins as possible to get your needs done. It's a good idea to regularly check your plugins and if you are not using them, deactivate and uninstall to keep from slowing down your site and minimize the risk of plugin conflict. Getting optimum performance from your website really starts with your hosting. With a low cost hosting provider you may be saving a few bucks, but losing thousands in lost revenue due to customers leaving your site before they even see it. Try and use the plugins that Colin recommends to clean up your database and links. Cleaning your database will mostly only benefit your load times, but broken links can not only impact rankings, but user experience as well. Just these few things can have a real impact on how well your site performs. You may be the owner of a small business with a small website and think your website isn't a target for hackers. After all, what would a hacker want with your website? Your website might be just about your services that doesn't contain any customer information. Why would a hacker even bother with your "little" site? You might be surprised about what hackers can do with your site once they infiltrate it and what they can do. We are sticklers about website security. We have also taken on customers that have had their site hacked. It's no fun. Every site that we have dealt with that has been hacked did not have any person's personal information whatsoever. So why did the hackers bother with these sites? If you are using our favorite CMS - WordPress, it's really very simple. It's all about the numbers. As of last year (2016), WordPress websites accounted for around 26% of the websites on the web. So with over a Billion sites on the web that equates to around 250 million of them being on WordPress. It's a numbers game for hackers, why not create one bot that can have the most effect and best chances of succeeding. What Will Hackers Do With Your Site? What does a hacker want with your site? Install malware to try and infect visitors computers, try and spread their political views, try and gain access to the server your site is hosted on, and probably sometimes, some geek with too much time on their hands. When writing code, it’s near impossible to not create any security holes whatsoever. When hackers find these vulnerabilities, they exploit them and you’re left with a compromised site. There are are also other ways a site could be vulnerable including human error such as using passwords that are easy to guess as well as insecure or unreliable hosting. Read The Full Article "The Ultimate Guide to WordPress Security"
That's not even the entire list from the post, nor is the post every way that a site can be hacked. As time goes on, hackers get more sophisticated and develop new ways to get into sites to use them as they wish. Before you get into a full on panic, there are things you can do to help make sure your site doesn't fall victim to hackers. The first thing you can do is make sure you use strong usernames and passwords. Never, and we mean never, use the default "Admin". Use very long passwords, maybe a snippet from your favorite song and add a few punctuation marks and numbers before and after. The second thing and probably the most effective is....... KEEP YOUR SITE UPDATED! Whenever there is a new release of WordPress, make sure you install it right away. Whenever you receive an email that an update is available, get it done. But it doesn't stop there, you also need to make sure that your Themes and Plugins are also kept up to date because they can be just as vulnerable. A classic example of this is the vulnerability in the Revolution Slider back in 2014 where as many as 100 thousand sites were hacked. You won't receive email notifications for these types of updates, so we suggest checking at least weekly that everything is up to date. 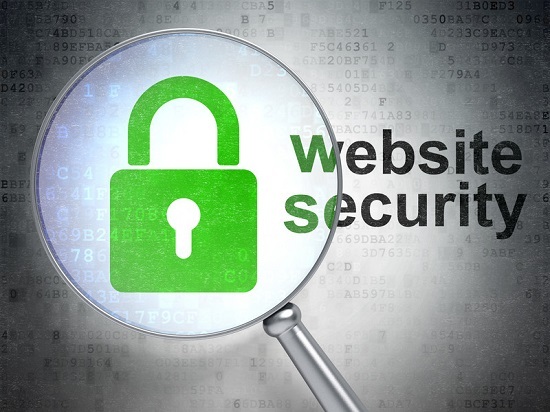 Web hosts vary greatly in how secure they are. Shared Web hosting is the most affordable option, since you’re sharing server space with countless other websites. But, that affordability comes at the cost of security in many cases. Virtual Private Server (VPS) hosting is a middle-ground option where you’re still technically sharing a server with other websites, but you’re each given flexibility as if you were all running on a dedicated server. Dedicated hosting means that you’re the only website on the server, so it of course it comes at a premium. To provide more security, but still keep costs relatively manageable, many web hosts are now offering managed WordPress hosting, which is similar to shared hosting. But by having them manage the WordPress installation itself, they can help avoid security breaches. Read Gail's full post "Web Security More Important Now Than Ever"
Gail also makes some good points in her article about you company's security policy with employees that have access to your site. Lastly, we want to point out that you should be making backups regularly. Why? Because if your site does get hacked, restoring your site to it's previous condition will be a whole lot easier. While you might consider your site not large enough, or have important data that hackers may want, it's still a target. The most important and effective ways of keeping hackers out is to choose a good host, and keeping your site up date to help minimize the risks of your site falling prey. And in case it does fall victim, make sure you have backups! via Blogger Is Your Website At Risk Of Being Hacked? Video is one of our favorite ways of marketing our clients to the public. We like video because of the engagement factor over text. However, some companies do struggle sometimes to get views and get their target audience to engage with their video content and take action. In this short article we will cover what to avoid and what must be done to make sure you are creating engaging video content that converts. You may have attempted video marketing on your own, with lack luster results. It can be disheartening. It happens. not every video you create will go viral or be the next dollar shave commercial. Not every video you create is going to be a home run. The important thing to do is learn from your mistakes and keep moving forward with more video content. The good news is that with some careful planning, you can give your videos a lot better chance of being the conversion tool you are looking for. It seems like we’re past the point of requiring evidence that supports the dwindling human attention span, but just in case -- studies say it’s about eight seconds. On top of that, roughly two-thirds of consumers prefer video under one minute, so in sum: Keep it short. I’ll never forget what HubSpot’s CEO, Brian Halligan, said to me during a chat about content creation: “You’re asking to borrow someone’s brain.” When you ask someone to borrow anything, the considerate thing to do is to be respectful of that person’s time, and when they might need it back. Generally, we need our brains -- so when you create something like video content, remember that you have your viewer’s brain on loan. That’s not to say that your video needs to be limited to eight seconds -- after all, how much could you possibly say in that amount of time? But when you create it, make sure those first few seconds are highly engaging, as that’s when you’ll need to grab the viewer’s attention to maintain it. Read Amanda's Full Article "7 Reasons Why No One is Watching Your Video Content"
She has some good points throughout her article. However when it comes to video length, it can be really hard to get everything you need to say in under a minute. We tend to make our videos between 1 and 2 minutes. Another point that she makes is about not promoting your video on other channels. There is a lot of controversy about this. Some video experts say to create different videos for different platforms. We tend to agree with Amanda and say go ahead and promote every video you create on every social media platform available to you. The second thing to avoid and that we see as a problem for a lot of "do it yourself" videos is going on and on about how great their company is, or how many awards they have won, or just continually talking about themselves or the company. What people care about is how YOUR company can help solve THEIR problem. It's okay to tell your viewers about your companies achievements, but keep it very short and to the point. Remember that your marketing videos are to get conversions, so the more you tell them about how using your product or service will simplify or make their lives easier increases your chances of turning viewers into customers. Many marketers obsess over view counts. Views are the most important measure of a video’s success, right? There certainly is something to be said for tracking the raw number of views that your videos get. But it’s far from the only metric that matters. Drop-off rates. That is, how many people watch a video to the end? And if they don’t make it to the end, at what point do they stop watching? Social shares. Shares are a good metric for how valuable viewers found your content. So yes, pay attention to view counts. But pay attention to the other stuff, too. Fading to black is great for movies…it’s not so great for video marketing. You would never create a landing page without a CTA, right? Well, it’s the same for your videos. You always want to close by pushing your viewers to complete an action. So what should you tell them to do? That depends on the goals you set out at the beginning (remember – you should have specific success metrics!). If you want to primarily boost brand engagement, you might push them to watch other videos by asking them to subscribe and suggesting some videos to watch next. Read Colin's Full Article "8 Key Elements Your Video Marketing Strategy Needs"
Good article from Colin. Kind of funny that we found it on Elegant Themes site. If you read his full article you also notice that one of his factors is also video length. We included his article because we find that these things are often overlooked by people producing videos. Many people put too much emphasis on views and don't pay any attention to other metrics, such as drop off rates. While you video may be getting views, viewers maybe leaving the video at 30 seconds in before they get to a call to action. Then all to often we see videos with no clear call to action. If you don't tell viewers to take action, they won't. Most videos that do have a call to action usually have them at the end of the video. This can be a problem when viewers aren't watching the video to the end, and why paying attention to the drop off rate is important. This can sometimes be avoided on YouTube with the use of Cards. You can have Cards open up with teaser text and calls to action right inside the video and put them towards the beginning of the video to help increase conversions. The problem with YouTube Cards is that they do not work on every device, so if your drop off rate is before your CTA, your video isn't converting. Keep you videos short and to the point. It's okay to tell your viewers about your company, but keep it short and remember to tell them how YOU can help THEM. While views are important, don't forget about drop off rates as this can effect your CTA and your video may not convert as much as you would like. To help avoid drop off before your CTA, and if you are hosting your videos on YouTube, make use of Cards. If you or your company needs help with video production, just visit our site www.mdimsolutions.com for all of your video marketing needs. Should You Optimize Your Site For Voice Search? Can Optimizing For Voice Search Be Beneficial? Voice search from Google has been around for a few years now and more people are adapting to it because of the ease of use over typing, especially on smaller devices. The accuracy of voice search has also increased significantly as of late, making it more appealing to more people. Is it really that important to make adjustments on your site and content for voice search? That's what we will be answering here. According to Google, 20 percent of searches on its mobile app and on Android devices are voice searches. As with almost anything in technology, this number is sure to increase in the coming years. And with "personal assistant" tools like Alexa and Google Home purchases on the rise, it's a sure sign people like the ability to just speak instead of type. While familiarity with personal assistant technology will encourage more people to try voice search, it is convenience that will really drive adoption. The top reasons people use voice search are almost all related to improved user experience. People use voice search because it’s faster, simpler and more user-friendly. It simplifies searching for individuals who struggle to type on small devices, and it helps searchers avoid navigating confusing site menus. It’s also faster than searching by text, guided by improved accuracy in the technology. And that’s not just people’s perception: Google’s voice recognition technology is now 95 percent accurate — improved nearly 20 percent since 2013. On average, humans can speak more than three times as many words per minute as they can type. If voice recognition is just as accurate as typing, the speed of voice search provides a compelling justification for adoption. Voice search provides a better user experience, particularly on mobile devices. Given that 90 percent of executives use mobile devices to conduct research before making a purchase, it’s not hard to imagine that those executives will transition to voice search — not to mention the next generation of B2B buyers who are growing up with the technology as second nature. Read The Full Article "Voice search and SEO: Why B2B marketers need to pay attention now"
Good points from Nate. It's important that you the reader take note of his last paragraph about executives, that 90% of execs use mobile before making a purchase and that they too will soon start using voice search. For that reason alone you should want to ensure your site is ready for voice search. So how will this affect businesses and search? This is a really good question, and if you stop and think about the possibilities, it could possibly change the entire landscape of search marketing. Most who do believe in a voice-dominated future are in a love/hate relationship with the idea. Some predict we’ll lose all local organic space to ads. Others foresee a future in which anything less than the No. 1 rank is worthless. I see both conclusions as an incomplete picture. A recent Moz study demonstrated that only 3.4 percent of Google local searches result in ad clicks. While it’s possible to anticipate a future in which voice search results are entirely paid ads, the fact that consumers seem to largely prefer organic suggests that Google would have a hard time retaining customers with such a model. Imagine if Google’s “I’m feeling lucky” search were a paid ad spot — who would click that button? Replacing the organic “best” option with the highest bidder changes our perception of the result. For businesses, this is further encouragement to tap into the power of organic local reach via accurate data and local knowledge sharing. Additionally, I think it’s a fallacy to assume that instant answers will beget a world where only the lucky top-ranked result wins. Rather, as I’ll show in this post, voice will make filtering for exactly what a consumer wants a much simpler process. So instead of a single No. 1 rank for a given local keyword (e.g., “divorce lawyer Los Angeles”), there will be dozens of No. 1 pages based on the other parameters a searcher indicates in her query (“a female divorce lawyer within a 20-minute drive from my office in Los Angeles who has experience in custody cases and pre-nups, with at least a 4.5-star rating and who can meet during my lunch break this week”). That's a good read from Megan. When we at the office started brain storming about the possibilities of voice search, we have to admit that we did think that it could really wreck organic search results. However, Megan makes a strong case for multiple page 1 results based on the searcher's query. In any case, voice search is another trend that must be addressed for local businesses. Chances are you have been optimizing your site for regular search. 2, 3 maybe 4 keywords together. For a longtime we have been big fans of optimizing for long tail keywords to target more queries. If you have been following our advice, you are ahead of the game. Great video with good actionable tips that you can start using now to get a jump on your competition. For the point he makes about using Schema, we will devote an entire article to that subject soon. If you are to busy to implement this or any other Local SEO tactics, contact us at www.MDIMSolutions.com for a free consultation. via Blogger Should You Optimize Your Site For Voice Search? For quite some time Google has been informing the public that site load speed is a ranking factor. The problem is a lot of site owners have no clue how to speed up their site. In this short article we'll cover a few actionable tips to get your site up to speed and better rankings. In our last post under the web design topic, we wrote about how using a CDN can help speed up your site. Because site speed is so important to both rankings and UX, we thought we would expand further on site speed. Honestly, we could have put this post under the local seo blog because of the ranking factor, but since it's a little more technical, we opted to place it under the website building, design and development category. Read The Full Article "Using site speed in web search ranking"
A lot of people don't realize how site speed and UX tie together for rankings. If someone clicks a link to your site and it takes more than a few seconds to load, most people just hit the back button to look elsewhere for the information they are hunting. This actually counts against you twice. The first is obvious, you have lost a customer to someone else. The second is that to the search engines, you are giving a negative bounce signal, which means the person performing the search wasn't given the info they were searching for on your site and decided to search elsewhere. That negative bounce signal can be increased if you are using Google Analytics on your site. How Do You Speed Up Your Site? There are a lot of things that come into play when it comes to how fast your website loads. The first that we have mentioned before is where your website is hosted. Where your website is hosted alone can make a HUGE difference in page load time. Cheap shared hosting just won't cut it. We feel that hosting is such a big issue we will cover it more in depth in an up coming post. A common warning you’ll see when you test your site is that your images are not properly formatted. Maybe you’re using high resolution images when you don’t need to, increasing the page-load time needed to download your images. Compressing and resizing your images to fit your web page can reduce the file size without noticeable quality loss. The type of image matters as well. It’s recommended to use a JPG for photographs and PNG for everything else. As modern sites become more image heavy, this recommendation becomes more critical. One tool we’d recommend to compress individual images is Optimizilla. If you want to do a crawl for large images on your site, try Screaming Frog. Every time a user visits your site, they are requesting files from the server. If they are revisiting, you should allow them to reuse the local files that are stored in their browser. This will reduce the amount of downloads and make one less request to the server, resulting in a faster page load time. You can do this by marking files to update at different times. For example, a logo is unlikely to change so you can mark that to update less regularly. Minifying one of these resources is the process of removing unnecessary data without affecting how the page loads in the browser. By compacting the code, you save data and speed up downloading time. Read David's full article "How to Improve Page Load Speed Performance"
David gives a lot of great tips in the article. One of the biggest speed factors that we see for clients that come to us with an existing website is the point he makes about images. We would add that proper image size is also important, especially if your are using WordPress. Many times we see on site pages an image that is 400x400 pixels, but then when the media library is inspected the image is a whopping 1500x1500. Now WordPress is being slowed down by having to resize these images while loading. Good News For WordPress Users! This looks really promising, while we will have to do some testing on a few of our own sites to make sure it does what it says it will and doesn't break sites. We do have to admit that we were a little confused by the name "Hummingbird", thinking that it was going to be something that talked too, or tickled Google's Hummingbird update. If you have been ignoring how fast your site loads, you better start giving it some thought now and taking action. Even if you aren't driving traffic from Google, but social media or other avenues, visitors to your site will not tolerate slow loading sites. We've given you a few actionable tips through a couple of trusted sources to help get the job done. One word of caution, before making any changes to your site - MAKE A BACKUP of your site, just in case things go wrong. You may or may not have heard of CDNs before. There are a lot of important parts to your website, especially if it's the life blood of your business. However, a CDN can be considered an important external part of your site. In this short article we will cover more on what and why you should be using one. Her first sentence explains it better than we did, with less words. We wanted to include the second paragraph as well because this is another great advantage of using a CDN - and that is speed and security. By now you should now that how fast your website loads is not only a ranking factor, but better for the end user also. Your customers will not wait 7 to 10 seconds for your website to load. While proper construction of your website has the biggest effect on site speed, a CDN will help improve speed even more. Remember, if you ignore speed, you will be ignored... Speed is a ranking factor for Google. If it takes time for Google to crawl your content, you need to re-work on the speed. Speed makes a huge difference when it comes to page loads. If you are slow, users will engage less with you. Seriously, this is something to be worked on. Content that loads more slowly will get fewer visits. Reports indicate that mobile devices lag behind in customer engagement metrics due to low speed. Nearly 53% of mobile site visits are abandoned if pages stretch beyond 3 seconds to load. Wait time not only affects performance metrics, but it can be costly for the companies too. Amazon recently revealed that an extra second in loading its content page will cost the company close to 1.6 billion in sales. With more than 244 million active users, Amazon constantly tries to optimise its presence with a special focus to reduce the load time of its content. Be it games, software, advertisements, mobile or website content, ecommerce etc., the speed of delivery marks success. CDNs play a huge role in achieving this. Read The Full Article "How to use CDNs to increase your site speed by 200%"
We wanted to give you that snippet just in case you didn't believe us about how important speed is to your site. Those are crazy numbers from Amazon and how much just ONE second of extra load time cost the company 1.6 BILLION! Granted, you are probably not running a site as large as Amazon, but you should take into consideration the same things they do for a successful online presence. This is a subject that we are adamant about, Site security. Hackers can do a lot of damage whether they are gaining access to your site or DDoS attacks. The next reason why a CDN is essential for your website is security. Did you know that more than 51% of the web’s traffic actually comes from bots rather than humans? The even scarier statistic from the above is that 29% of web traffic comes from malicious bots. That means your website is constantly under a deluge of bad bot traffic. If you’ve ever taken a look at analytics data, or used a security plugin like WordFence, you’re already aware of this fact. These bots are constantly probing your site for vulnerabilities. If you slip slightly in your security efforts, if you have not chosen a good WordPress host, or if you miss a WordPress security update or a plugin update, rest assured your site will soon be suffering the consequences. Most CDNs are able to identify and block bad bots rapidly, making your site safer when plugged into a CDN. The collective knowledge gained by the network can be used to prevent attacks on your own sites. Read "4 Reasons to Use a CDN for WordPress"
Good article from David. He also gives the same reason earlier in his article that it helps increase speed. He also goes on to talk more about DDoS attacks. DDoS stands for "distributed denial of service". The way we like to explain DDoS goes like this. Let's say you actually have a brick and mortar store. Then you have a competitor that doesn't like you. This competitor pays a bunch of people to stand outside in front of the door, not allowing customers to get in. This is the basic premise of a DDoS attack. A bunch of computers or servers all going to your site at once. Then your regular customers can't access your site because your hosting server is overwhelmed by the DDoS attack. A CDN will help eliminate this threat. If you didn't know what a CDN is, you do now, as well as why you should be using one. Speed and security are the 2 biggest in our opinion. You can either setup a free account with someone like CloudFlare, or get a paid account with someone such as Amazon CloudFront, or a host of others. We have everyone of our clients on a CDN. What Does It Take To Rank In 2017? We get this question all the time. In reality, there are a lot of variables that come into play, and what it will take to get your site highly visible in search results will vary depending on your location and niche. However, there are a few things that you MUST do to establish a foot print on the web and give your site an edge. SEO has been around a long time, and what SEO involves has changed dramatically over the years. It is still one of the best ways to get more traffic to your site, and ultimately grow your business. When most people think of SEO, the first thing that comes to mind is backlinks. While backlinks are still the driving force of the web, there are a lot of other factors the search engine bots take into consideration now as well. They are looking at engagement on your posts, dwell time on your site, page load time and many other factors. 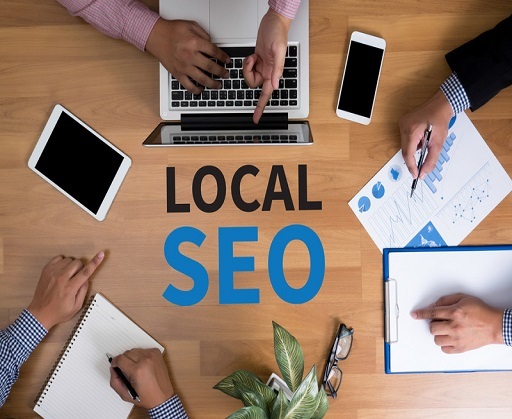 Read Tony's Full Article "The Definitive Guide To Local SEO"
Tony gives a ton of great information in that article. We really love his infographic that he has on the page and highly suggest that if you are attempting SEO on your own that you check it out and follow it! Everything he recommends in his post, we recommend, and implement for everyone of our customers as well. Mr. Messer, if you see this - well done on the article! We must add that depending on your niche and location, a lot more may be required to get, and maintain good rankings in search results. If your business is located in a major city, or very competitive, there will be a lot more involved. In this case one of the best things you can do is really dive deep into your site as to how it functions and is structured. This can be very "geeky" and too technical for some business owners. Continue Reading Aleyda's Article "5 must-do technical SEO audit items in 2017"
She produced a great article with a lot of technical information that will make most people's head spin that aren't in the industry. However, she does give good reasons why your site should be using Schema. We would like to add that in our tests, adding Schema and structured data in the form of JSON-LD to your site can make a significant difference in how well your site ranks in search. This is because you are talking directly to the bot and telling it what your site is about without the bot having to try and figure out your site by the page content. SEO, rankings and getting visitors to your site has changed over the years, and continues to evolve. It is doable for some small business' to take on their own search engine optimization, but will take a considerable amount of time from their daily schedule that could be spent instead focusing on daily operations. It will also involve a bit of a learning curve as well. Don't let it scare you if you don't have the budget to hire an outside firm. It is important to start creating a "foot print" on the web for your brand to compete in today's online landscape. As usual, if it's too much for you to handle, or you don't have the time, you can always contact us to handle your local seo at MDIMSolutions. You can also connect with our CEO on LinkedIn. Your company's brand reputation is extremely important to it's success. In our last article we covered what Brand Reputation is. Here is something to think about - the lack of having any comments or reviews about your services or products can be just as detrimental as having bad reviews. In this short article we will give you 2 easy ways to start building a good reputation for your brand online. Probably the easiest way to start building or improving your Brand is with one of the most over looked marketing strategies by small business owners. If you have a website you should most definitely be utilizing the power of the blog, writing articles for your potential customers and prospects to read. You can be your own sounding bullhorn for your services and/or products. Be Your Customers’ Best Resource – Some people visiting your website know exactly what they want and are prepared to purchase right away. Others have questions. Maybe they already bought the product and want to know more about it. Maybe they have a future purchase in mind and want to educate themselves before they make a decision. If customers know they can find answers on your blog, it will keep them coming back to your site. Boost Rankings – More people visiting your site will generate more traffic and this will improve your rankings with Google and other search engines. Getting your website at the top of the search result page for your brand is the goal of any ORM campaign and blogging will help accomplish this. Increase Revenue – Every time someone clicks on your website is another chance to gain a new customer. New customers who keep coming back to read your blog are likely to turn into long term clients. This all adds up to a sustained increase in profits. Continue reading "6 Ways A Blog Can Improve Your Company’s Reputation"
Good advice from them, especially their point of creating sharable content. It's a great idea to take your content and share it across as many Social Media platforms that your company has. Don't forget, Google isn't the only place you can reach your target audience. So how do you go about setting up a blog? 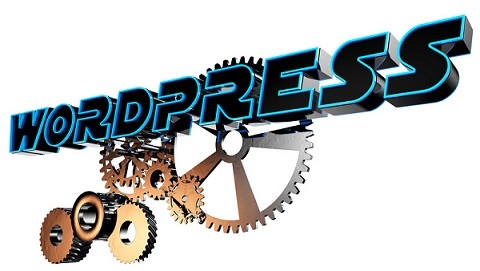 If you are using WordPress as your CMS (Content Management System), it's super easy. Right inside the admin panel you can ad posts. A lot of other CMS platforms have this feature as well. But what if you have an HTML site or something else that it's not so easy to make posts on? Our suggestion is go ahead and set up either a free or paid WordPress.com site, or a BlogSpot site that you can get free as well with Google. With either of these options you can link back to your main website inside the posts, or direct them where to go or whatever call to action you want. There are two great different ways of using video that we like, and have been using for awhile, to help in brand management. The first video you can make is what is known as an "Explainer" video, that does just that - explain your services or products. The second type of video we have been using is "testimonial videos". These can be a little more difficult to produce, but if you have really good persuasive powers, you can talk a past client into being in a video for you. Telling your brand’s story will help you create a strong connection with your viewers. Behind every great brand there’s a great story, and your prospects want to know it. They want to know and understand your values as a company, and showing this with video is the best way to do it. The trick here is to be authentic. Your customers won’t believe staged scenarios, or conversations that look scripted; and it’s incredibly important that you don’t tell made-up stories! Because your customers will find out, and it will shatter your credibility. So, authenticity is the key. Share that unique, inspiring story of your brand, and show your prospects that you and your team share their values. Read The Full Article "Generating Brand Trust with Video Content"
We totally agree with the writer that you must be authentic when creating this type of video. We would add that one of the biggest problems we see when companies create this type of video is over promoting, or bragging. If you start going on and on about how great your company is, or how many awards it has won is a problem. Most customers really don't care about that and will quickly click off your video. What new customers want to know is how you have helped someone in the past, and how you can help them! There you have it. Whether or not there is nothing on the web about your Brand, or if you Brand is a little tarnished, you can start making it sparkle with these 2, relatively inexpensive ways to managing and promoting your Brand. 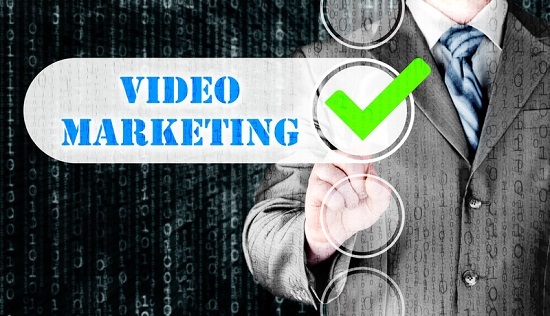 Is Your Company Utilizing Video To Market To The Masses? Video is one of our favorite forms for bringing in new customers and keeping existing customers engaged. There are all kinds of crazy estimates about the percentages of which video will be the main platform of internet consumption by the year 2020. In this write up we will cover the reasons your company has to be using video NOW to keep up with demand and continue to grow your business. We have been firm believers in the power of video for years. 7 to be exact. While ranking factors and the process of getting videos ranked and viewed has changed, the fact that video consumption has not, and is continually growing. Sure, most of the marketing sphere is already well aware of the power associated with video content. Consumption and creation are at an all-time high, and according to an April Google-commissioned Nielsen study, YouTube reaches more adults 18+ during prime time than any cable network does. But if Cisco’s projection that 82 percent of all consumer web traffic will be video-based by 2021 comes to fruition, it’s crystal-clear that the adoption of video has to be a matter of “when” and not “if” for SMBs. We constantly hear the cry that the barrier of entry to video content is lower than ever for small businesses, which is indeed true. The wealth of video creation apps available continues to widen, while the popularity of live broadcasts, with their lower standards for production value, make it easier for scrappy SMB marketers to feel comfortable experimenting. By now, we’re all familiar with the top channels available to both produce and distribute video. Through YouTube alone, there are plenty of opportunities for first-timers to test the waters, right? Then why are 39 percent of businesses still sleeping on video, despite visual content being heralded as the be-all, end-all of modern marketing? Jordan makes a lot of great points in his article. One of the most staggering statistics he gives is that on Mobile devices alone, YouTube reaches more Adults 18+ during prime time than any cable network does! That alone should be enough reason for some larger companies to stop putting so much money into TV ads and start making more use of online video. We also agree with him that there is no reason that any company needs to be overly concerned or overwhelmed with just the though of making a video. It is extremely easy for any company to put out a quality video now. If your company is smaller and doesn't have the budget to hire a professional video production company, there's no reason you can't do it yourself. There are plenty of online editing sites where you can edit your own video and make it look very professional. What Are The Components Of A Good Marketing Video? Before you just "wing it" making your own video, you need to put in just a little thought first to make sure you are conveying the proper message and reaching or connecting with your target audience. Understand the video sales formula: Present a hook in the first 2 to 5 seconds, reveal the problem your product solves in the first 20 to 30 seconds, reveal the solution to the problem, introduce the solution for the first time, present solution benefits, and then offer credibility and a call-to-action—and use emotional triggers like shock or humor throughout the video. Conventional wisdom says you have 5 to 10 seconds to grab the audience’s attention, but Vest believes you have 1 or 2. He pointed to the Squatty Potty viral video that grabbed audience attention from the very first frame: a unicorn pooping rainbow ice cream. The product or service must connect to the audience and seem useful: Be sure to provide viewers with a clear answer to the question “Why should I buy this product?” Also, give your customers a compelling, easy-to-navigate experience around the video in the landing page, the mobile version, and the purchasing process. Broaden distribution and discoverability: Besides ads, how are people going to find your content? Are there fan pages for the product or company? Can you send your product to hundreds of influencers? Vest says VidPow typically contacts 100 publishers for each product it creates videos for, looking for as broad distribution as possible. Continue Reading "7 Fundamentals to Help Brands Maximize Selling With Video"
He gives some great advice for businesses that want to jump into video. At the end of his article we like the fact he stated that if you are not ready to implement all 7 factors, just start with what you can and then basically fill in the blanks later! Something else that we feel we should add is that you don't have to try and make a video go viral from the start, referring to Eric's first point of a video that went viral because of a unicorn pooping rainbow ice cream. To get started you can just make a video with pictures of your work with before and after shots if you have a service type business, or multiple pictures of your products, and then voice over with a description about how your services or products can help solve your customers problems. Do not drone on about how great you are or how many awards you have received. We briefly covered why your business needs to be using video, as well as covered a few points about how to structure your video. So get to it, don't let your competition get ahead of you by getting on the video band wagon before you! Digital marketing, online marketing, internet marketing. Ask 10 different people what it is and what it involves and you will get 10 varied answers. Still, it's probably the most cost effective way with the best ROI for reaching the masses. There are multiple platforms for companies to reach their prospective audience across the web. In this short article we will cover a few of the most popular methods, along with our favorites. Which type of marketing is best for you will totally depend on your field of expertise and niche. These are the very first results that are available when performing a search. When searching in Google you will be able to identify these results because they have a green box with "Ad" in it before the URL of the website. PPC can also be done on other search engines as well as social media. This is where you or a digital marketing company works to get your website to the top of the organic searches. For instance, when performing a search for a service, the ads come first and then the "organic" or "natural" results. When searching in Google and Bing, this also includes the "Map Pack". It's important to note that the maps do not always appear and depend on the search query. Yes you can not only advertise on most social media platforms with paid ads, but also posting information about your company and services. It's everything from Twitter, Facebook, Pinterest, Snapchat and many others and includes of course one of our favorites for our customers - YouTube. This is a big one. By just having a blog on your website and producing quality content that is helpful and informational for your audience speaks volumes. This content can also be shared across your social media platforms to help keep up engagement. Then you can also combine content with SEO to get your posts found in the search engines to gain even more exposure. This form has been around for quite some time. While it has become harder to "cold email" people because of spam defenders, we do find that this is a great way to market to your existing customers for upcoming sales or new products, etc. These five are our favorites. But like we said in the beginning, there are a lot more opinions out there about the different types of internet marketing and what they involve. In fact some marketers actually consider Tv and radio to be forms of digital marketing. Continue Reading "10 Types Of Digital Marketing You Should Know – And Consider For Your Marketing Strategy"
We couldn't have said it better. For most of our clientele, affiliate marketing really is viable. Susanna also backs up our point for email marketing and that it has to be for someone that is already on your list and not cold emails. She also is a marketer that subscribes to Tv and Radio as methods of digital marketing. Another term and form that is gaining popularity is what is known as "Viral marketing". It's a bit more complex and requires a little more work, but can have excellent results and involves using video. Viral marketing is when your create a marketing campaign that is hilarious, about a "trending topic" or perhaps even weird, and then gets shared - and shared a lot! It usually causes a big spike in website traffic in a very short period of time. When it comes down to the basics, every marketing campaign has the purpose of making an impression. This is especially true for viral stunts. The mistake marketing specialist often make is to think that to achieve viral success you need to go big or go home, but this is not always the case. Each successful viral marketing campaign shines in one of five categories. Some ads successfully tackle the latest current events, while others rely on the randomness of the ‘wow’ factor. However, to dive deeper into the five pillars of viral marketing, we’ll take a look at some of the most recent viral marketing stunts that went completely astray. Without further adieu, here’s what you need to avoid when doing viral marketing stunts, as these five companies learned the hard way. Finish Reading "What to Avoid When Doing Viral Marketing Stunts As These 5 Brands Learned The Hard Way"
That's a good read. We especially like his advice about before launching your attempt at a viral campaign to look at other company's failures and triumphs. It is important to note that your attempts to make a marketing campaign go viral isn't always possible. So there you have 7 types of online marketing. If you dig around the web you will find more explanations and types, but for the best bang for your marketing dollars, the first 5 we listed are tried and true methods for all businesses. via Blogger What Are The Types Of Online Marketing? What Is The Meaning Of Brand Reputation? Your Brand reputation? Just what does this term mean and how does it apply to your business or company? That is exactly what we will cover in this short article. What brand reputation really boils down to is how your company is perceived by customers or clients online, and offline. It's also involves the emotions and ideas the customers associate with your brand. It revolves around everything your company does, again not only online, but offline as well. The main components that can have the biggest effect on your brand reputation involve public relations, promotions and advertising and customer service. This can be as simple as someone typing into Google search your company name + "reviews" and what shows up in Google My Business reviews and also reviews left on Yelp and YP.com. It can also involve what people are saying about your company on social networks and talking about your product or services. With some careful thought and planning, you can actually use the theory of brand reputation as a great tool for marketing. If your product is used by millennials, then making your marketing campaigns stand out and geared towards them is a must. This would be done by making sure your site, product pages or service pages are mobile friendly and making use of the latest social media platforms. Then portray the image that your product or services are the coolest around, and everyone that is cool is using it. How Is Your Business' Brand Reputation? There are some important things to remember when it comes to your brand reputation management. Not all of your marketing campaigns will be interpreted the way you intended, or you may have a problem with a product, or for whatever reason, things go wrong. Before Al Gore invented the Internet, there were fewer avenues of perception that brands had to pay heed to. It was simple, there was TV, newspaper, and radio.Through a combination of good service and well-intentioned, well-designed advertisements, brands could effectively shape their image to the one that promised them the most success. Now it’s TV, newspaper, radio, and a hundred online variations as well. In truth, there are thousands – but the average brand only needs to focus on those relevant to it’s customers and industry. The playing field is larger, the competition is fiercer, and there are significantly more angles to consider. Brand reputation management, once a subset of a business’s marketing plan, is now the driving force behind it. There are several key facets of online brand reputation management, each of them equally important. If you create a large number of web profiles in an effort to overwhelm Google, you’re digging a hole for yourself. There are a lot of reputation management companies that offer to build a lot of social media profiles, press releases, and other garbage web content. It’s both cheap and ineffective. Google and Bing are smarter today, and they don’t fall for this technique anymore. The view from the top of the search engine rankings is pretty great. A study from online ad network Chitika found that the first organic listing on any given Google search page (that is, the first listing that is not a sponsored ad), receives 32.5% of the traffic. The second listing receives 17.6%, the third listing just 11.4%. “Position zero” search results, like Google’s “Featured Snippet” and “People Also Ask” boxes may garner even more attention. Your brand reputation management strategy should put particular importance on getting your listing to the top of the search page, and making sure it stays there. That means providing varied, quality content, and doing the proper SEO legwork to make sure you stand out. Continue Reading "Some Do’s and Don’ts for Brand Reputation Management"
Amanda wrote a really good article. However, there is one point that she makes that we don't totally agree with. She says that you shouldn't spam search results with social media profiles and press releases. We do agree that you shouldn't just build a lot of profiles and abandon them. We take the approach of building these properties and then pushing quality content to them. This can be extremely helpful when your company has received some bad publicity and push that bad content farther back in the searches. By building these other properties and maintaining them, you will also be able to leverage one of her other points of improving search ranking results. How Do You Begin Working On Your Brand's Reputation? Online content adds a dimension to your brand – and ultimately your reputation – because the same brand can be perceived differently by online and offline audiences. The best way to manage brand reputation is to tell a cohesive story – to a receptive audience. While controlling the message in an age of social media is no longer an option, you can still steer the dialogue. What first impression do you want your brand to portray? … Time’s up. It takes less than 50 milliseconds to form a first impression. First impressions are so important because they give way to a ‘halo effect.’ Consider how visual design and the colors you use impact the way people feel about your website open the first view, that assessment is often transferred to its functionality. Your brand is derived from a mix of who you are (your executives and colleagues), who you want to be (your brand values), and who people perceive you to be (the user experience and branding). In a perfect world, your reputation follows the brand. Help this along by making your brand present across the customer touch points in the business: how employees answer phones, what employees and salespeople wear, what language they use when describing your services or products, e-mail signatures, social media presence and how they engage online, everything one can think of. The brand is every employee’s responsibility–not only the communications team’s. As a PR pro, you can ensure the whole company understands the corporate mission, vision, values, and goals so you can all believe, live, and breathe this. Continue Reading "5 Steps to Brand Reputation Management"
Great article from Angely. We especially like that her first point about making a good first impression. That ties into what we were talking about earlier about how your brand reputation can be tied in, and to your marketing. How your brand is perceived is extremely important to your companies survival. It can make the difference in spectacular sells, or your business going under. By managing your reviews in search, what is being said on social media, as well as "buzz" about your business, you can take your company to new heights. via Blogger What Is The Meaning Of Brand Reputation? What exactly is reputation management, and how can it effect your business? In this brief article we will cover what it is and why your company needs to monitor it's online presence and what your customers are saying about you and your services. Online reputation is becoming more important for businesses of all sizes that do and don't have an online presence. Just because your company doesn't have a website, which in this day and age is ludicrous, or doesn't have a Facebook page, or Twitter account, doesn't mean that these platforms aren't important or relevant to your company. Not only do you have to be concerned with what's being said on social media, but also the countless directories online like Yelp, Manta, Kudzu, YP.com and a host of others. 91% of North American consumers read online reviews to learn about a business. For better or for worse, most consumers are checking out Google Reviews, Yelp, and other customer feedback systems to get more information on businesses, says the most recent BrightLocal Consumer Review survey. Consumers often take into account what other people write about a brand, product, or service to determine if it’s a “good” business or not. If reviews are overwhelmingly positive, the survey reports that 74% of consumers have greater trust in the organization. On the other hand, 60% of respondents said that negative reviews made them not want to use a business. Those with mostly 1- or 2-star reviews fail to convert 86% of prospective customers –– a major loss, especially for startups, who need the initial momentum to get going. The report also shows that consumers are getting better at sorting the real reviews from the fake, and they’re more likely to take a recent review seriously than an older one. Consumers will catch on when businesses hire people to write fake reviews, or resort to other automated, non-organic means of cultivating a positive reputation. Only authentic reviews will do. Good information from Kent that simply can't be ignored. He also stated in his article that businesses with mostly 1 star and 2 star reviews fail to convert about 90% of new potential clients! In Kent's article, that was mostly about what is happening with what can be found in Google search. But what about social media? Usually with social media your reviews are in the form of comments. Now there are more platforms that you need to be concerned about. The two major sites that you must monitor are of course Facebook and Twitter. Fortunately, it's easy to respond to these comments, but you must respond to these comments calmly, intelligently and most importantly - RESPECTFULLY. Get this wrong and it can cost your company thousands, if not millions in lost revenue! Read The Full Article "The Definitive Guide to Online Reputation Management"
Great article for Kissmetrics. There is a lot of good information there. How you respond to unsatisfied customers and reviews for social media also needs to be applied to Google reviews and other review sites like Yelp as well. Reputation management consists of just what it says, managing what customers are saying about your company online and giving a proper response, if required. All to often it's something that companies and businesses think about after it's too late. Bad reviews and negative comments are on multiple platforms and sales are plummeting. Our company prefers the avenue of "reputation marketing", which is something we will get into in later posts. So stay tuned to our site for more on how you can protect your online presence. via Blogger What Is Reputation Management? Why should your business be using digital marketing? In this short article we will give you some examples of how the internet can help grow your business by increasing traffic by reaching customers where they are spending their time, and most importantly, how you are able to measure your ROI. If you pay any attention at all to your surroundings in your daily life, it's easy to see why you should be using digital marketing to reach new customers. When you are at the mall, walking down the street, or even at a restaurant, people are on some type of device. That alone should be reason enough. For you naysayers, we will give you more. It's important to note her point 3. Everyone has a smart phone now! You need to finish reading her full article to find out more, especially points 9 and 10. At the end of our last article - "What Is Digital Marketing And What Does It Consist Of? ", we briefly touched on the advantage of digital marketing for measuring your marketing dollars ROI. One of the best ways to check and monitor your ROI is by using Google Analytics. If you have never used the Analytics tool before, you may be a little overwhelmed at first, but after digging around for a little while, you will come to realize just how powerful this tool can be. This tool can give you a wealth of information. Google Analytics, a powerful tool for web analytics and a master key to a successful digital presence. It is extremely important for a website manager to know the type of visitor it receives, data on the type of resources they access and other relevant factors; in order to improve their website performance and to cater to a larger number of audience. Most Google Analytics account holders have been observed to be looking at the top layer of this powerful tool, and this includes looking at numbers which signify the number of views and visitors, but there is much more to this free yet amazing analytics tool. Features that can provide you an insight of visitors, they activities and demands; and thus enabling the webmaster to enhance their website experience. Here are a few handy tips and tricks that would allow you to get the most out of Google Analytics tools. Two key take aways from the article is the ability to measure site speed as well as mobile device reports. What Is Digital Marketing And What Does It Consist Of? We decided to write this article to help clear up any confusion as to what it is that our company does. It's been a long time coming, and with our new website completed, we thought now would be a great time to go ahead and publish it. Digital Marketing, or sometimes also referred to as Online Marketing - unless you don't have a computer, tablet, smart phone or an Internet connection, you have been exposed to it in one form or another. It has become the best way for businesses of all sizes get and maintain Brand awareness as well as bring in new customers. It's the fastest growing and evolving form of marketing on the planet. Why has digital marketing been expanding at a phenomenal rate? That's because other forms of marketing to the public have really lost their value and effectiveness in recent years. TV ads have become increasingly expensive and out of reach for most business owners. Regular radio has lost potential listeners to commercial free satellite radio and other platforms like Pandora. Even roadside billboards have lost their effectiveness because most passengers in a vehicle are on their smartphone checking out Facebook. So exactly what is Digital, or Online Marketing? There is a lot more to marketing online, but these are the basics. Now we will cover how you can reach your audience or new customers with these platforms. Your Website: In our opinion, and many other professional online marketers, this is the most important part of the equation. Almost all of your ads, social media outreach, emails and everything will send customers back to here to learn more about your services and products. Your website also gives the first impression of your Brand. One of the biggest assets to your website is to have a blog. You can write content for your audience (like this post). Your viewers can learn more about your company, your services or your products. Then Local SEO comes into play. You can get your website to rank high in the search results for terms that people using the internet use to find your company's services. This can also be applied to your blog posts as well. SEM (Ads): Ads are everywhere! You've seen them on Facebook, Twitter and every social media platform, as well as your favorite browser when you search for something on the Internet, like a service or product. It's still a good way to expand your business and your Brand. There is some debate as to if they are still viable as most people skip the ads and get to the content they are after.We feel that it's still a great method and should be combined with SEO. Video: This is a medium that is growing very rapidly! There are all kinds of estimates on different blogs as well as research that claim crazy numbers like 80% of all internet traffic will be through video by the year 2020. While we don't think it's will be that crazy, by looking at the past history of video, it will definitely take it's lion share of marketing! Video is extremely engaging. People have short attention spans and would rather watch the internet than read it. You can quickly inform the viewer of who you are, your service, and why they should choose you over the competition. Social Media: This platform is growing by leaps and bounds daily as well. It seems like there is a new platform every month. However, the tried and true giants are Facebook and Twitter. Others that are really paying off with an excellent ROI are Pinterest, Instagram and LinkedIn. Depending on what type of business you have and your projected audience will depend on which social network will work best for your company. This is in no way an exhaustive list of all the different types of digital marketing. It is, however, our favorites and work the best for every business type that we serve and help grow. There Are Almost As Many Different Explanations Of What Digital Marketing Is As There Are Digital Marketers! Have you noticed the phrase “digital marketing” being bounced around a lot more lately? Me too. I admit that I’m one of the sources of that bouncing. With the rate of change occurring in the marketing world, I think describing what we do is something that isn’t really satisfied by just one phrase. Content, Search, Inbound, Multi-Channel, Integrated, all seem to have their place, but “Digital” seems to express what most companies are creating in their marketing right now. Digital marketing is a term used to describe the integrated marketing services used to attract, engage and convert customers online. Digital marketing utilizes multiple channels such as content marketing, influencer marketing, SEO, social media and online advertising to help brands connect with customers and uncover performance of marketing programs in real-time. As much as people toss around “digital marketing”, I get the impression that we’re not all on the same page in terms of what it actually means. Just a few weeks ago, we posted a digital marketing predictions post that now has nearly 8,000 social shares. Both the answers and the feedback were quite varied. If you read that article and saw all the different answers, you know what we mean! Return on investment (ROI) is an important part of digital marketing (and really, almost every part of marketing)—it tells you whether you’re getting your money’s worth from your marketing campaigns. And if you’re not, it’s critical to get to the bottom of it, and understand why so you can learn how to improve your campaigns. But first, you need to understand how you can effectively measure the ROI of digital advertising. The most instinctive way to measure digital advertising ROI is to track metrics that tie directly to revenue and profit (think conversions, opportunities, etc.). While it sounds great on paper, in the real world, this oversimplified view can paint an inaccurate picture of your ROI, especially if your product is sold at a low price per unit. Big picture measurement often factors in soft metrics—things like brand impressions, impressions, website visitors, and downloads—which help tell a more complete story. You need to take the time to read that full article if you are interest in some of the best ways to measure you digital marketing ROI. So there you have the basics of online marketing. If you want to learn more about Digital Marketing, stay tuned to our website! via Blogger What Is Digital Marketing And What Does It Consist Of? So what is branding? Some old school people may think of branding and applying to cows and cowboys :) A hot iron of the fire and burning an emblem on your steer to identify them from other ranchers cattle. Branding for your company is somewhat similar, only you won't be taking a hot iron and burning emblems on your computer or other places. Branding is a must no matter how large or small your business is. The first thing in creating a brand for your company is your logo. In my opinion, your logo is probably the most important starting point for creating your brand. When you see logo's like the 2 red circles or bullseye for Target, or an apple with a bite out of it for Apple, you know right away who you are dealing with. Consider Allstate's "good hands" logo. It immediately generates a warm feeling for the company, symbolizing care and trust. With a little thought and creativity, your logo can quickly and graphically express many positive attributes of your business, too. Continue reading "How To Create A Logo"
Really good article that goes on to explain more about how to create your logo including logo types and what colors to use and to avoid. One piece of advice that they recommend, as do we, is that if your aren't very artistic go ahead and higher a graphic designer. Once you start using your logo to establish your brand the last thing you want to do is change it. Also notice how in Entrepreneurs article they state how Allstate's logo creates a warm feeling. This is another major part of your branding. The emotion of your brand. You can create your brand to be warm and inviting like Allstates, or fun and simple like Apple's. One other thing to take into consideration is the size of your audience and who your audience is. You will notice in our branding that we have a logo, but on a lot of our different profiles I use a nice profile picture. The reason for this is because we don't ever intend to get as big as a McDonalds or Nike. If your company is smaller and just in one general location this may be a better option for you. The reason being is people in general prefer connecting with a person over a company. This should seem like a no brainer, but you would be surprised at how many companies don't ad their logo in a prominent space on their website and everywhere on their site. You want your logo on every page and post of your site. Then of course ALL of your social media pages. A few of the top social platforms we like and use are Google+, Company FaceBook page, Twitter and Tumblr. This actually helps 2 fold. It helps reinforce your brand with your consumers and makes you recognizable across all the web. When it comes to branding for SEO, just look at big companies like Home Depot and Walmart. It's a fact that Google loves branding. By building a large brand you are telling the search engines that you are a legitimate business by being everywhere on the web with multiple sites. There are a few other great places that you can ad your logo. The first place that a lot of people neglect is their Email signature. Everyone of your professional correspondences should have your logo on it in the signature line, as should everyone that works in your company. Next, packaging. If your company delivers a physical product with packaging, put your logo there as well. Lastly, your business cards. In addition to your logo being on your card, also consider using your branded profile picture as well. This is a great trick to get people to remember who you are. Months later they may look at your business card and wonder who you are. If you have a profile picture on your card, it's makes it a lot easier to remember. To get started building your brand, start with a great logo. Then create the feeling and emotion that you want to go with your brand which can be tied in with your logo. Then put your logo everywhere you can possibly think of to reinforce your brand to your audience. Then by using branding as part of your SEO strategy, you will help your website with better rankings in the search engines. Images are important to include in your blog posts, for a few reasons. They are great for helping to break up your content as well as help "tell the story" that you are trying to convey. Good pictures also help with social engagement and shares. A couple of things that bloggers neglect to do is optimize them for SEO and speed. With this short post we will cover why you should be using images if you aren't, as well as optimizing them for SEO. Everyone knows the old saying - "a picture is worth a thousand words". Images are easier to process and visitors to your site will be drawn to them. Articles with great images are also more likely to get shared more across social media platforms. When is the last time you went to a blog posts that was long or all text and just read it? Images help break up your content and should be visually appealing. It is important however to remember to use the right image to help tell your story or convey your message. Your image should be relevant to the article and should be somehow related. Posting a picture of some beautiful woods scene when your article is about exercising doesn't relate. A picture of someone actually exercising or wiping sweat from the forehead after exercising would be a much better choice. We are very visual creatures. A large percentage of the human brain dedicates itself to visual processing. Our love of images lies with our cognition and ability to pay attention. Images are able to grab our attention easily, we are immediately drawn to them. Think about this blog, for example: did you look at the words first, or the image? We process images at an alarming speed. When we see a picture, we analyse it within a very short snippet of time, knowing the meaning and scenario within it immediately. The human brain is able to recognise a familiar object within 100 milliseconds. People tend to recognise familiar faces within 380 milliseconds, which is pretty speedy. Read The Full Article "The power of pictures. How we can use images to promote and communicate science" Here. Great article from James. Later in the article we really like where he talks about how images help with learning. He talks about how infographics really help with this. Yes, inforgraphics are considered images :) and are great for helping people skim your content. Read the full article to learn more about why you should be using images in your posts. So we covered why you should be using pictures. So how can they help with SEO? The first thing is naming your images. We actually like naming our images BEFORE we upload them to our website to make it easier. Using one of your keywords that you are trying to target is good to use as part of the image name. Just don't over do it by keyword stuffing. Alt tag – The text within the “ALT” field will be displayed to users if your image cannot be loaded or if it’s taking too long to load. Title tag – Here is where you can add additional text to display to your users when they hover over. Great place to add keywords and relevant information about the image perfect for search engines. Great article from Rizvan, with another great point that he makes earlier in the article, and the it's important to compress your images as well. Image compression is a BIG part of the SEO equation as well. Why? If your images aren't compressed they will make your website load slower. A slow loading site is not only a turn off for visitors, but the search engines as well. Site load speed is a ranking factor. If you aren't using images in your posts - start. Our brains are wired for images. Make them relevant to your topic and also use infographics where possible. Images also help get your content shared more on social media. And by taking the time to find some great images you can help boost your website search engine ranking as well! So you just spent some time or money on creating a new company video. So what do you do with it now? Just let it sit on your desktop and collect digital dust? Just leave it on whatever platform you chose to upload it to and HOPE someone views it and takes action? In this short article we will cover a few things you can do with your new business videos to help increase visits to your site and increase sales. First, let's consider what your video is about. Did you create a video that explains your business and who you are? If so, then a great starting point for the video is on your website. Studies show that websites with a video on the homepage rank higher in the searches. Your homepage is also a great place if your video is about your company and who you are. This type of video will actually help the viewer trust you more over your competition that doesn't have a video on their site. If your video is about your services, product overview or product demonstration, consider making a separate page on your website to showcase all of your videos. Using my favorite example, a plumber, ideally you would have separate pages for hot water heater replacement, new construction, and so on. It would be great to have a separate video for hot water heater replacement and have that at the top of your page for hot water heater replacement. A video that demonstrates how careful your company is and your guarantees will always convert higher than your competition that doesn't have a video on their page. If you have followed any of our previous posts or checked out our site, you should know by now that YouTube is our favorite platform for our marketing videos. Why? Well, YouTube now reaches more 18-49 year olds than any cable network. AND, with proper optimization of your channel and your video, your video can rank in Google search. Read our previous post "YouTube SEO"
This is a great place to start with any video that explains your services, or a video that is meant to drive sales. It may be a little more difficult to get the video to rank for some niches than others, but well worth the effort. If you made a video that has customer testimonials, then this is another must. You need to get the video ranked for "Your Business Reviews". People are constantly searching business reviews. Again, studies show that people are much more likely to click on a video thumbnail over text. This is also a GREAT way to help with your online reputation management as you can help push bad reviews back a page by having multiple customer testimonial review videos on the first page. With YouTube as your platform, you can also connect your website to your channel. This allows you to have clickable annotations directly inside your video so that the viewer can click through to your site, from inside the video! These annotations work on almost platforms that the video is shared on without stripping out the clickable annotations. There are also what is called "cards". These cards work pretty much the same way as annotations, except that they also work on most mobile devices with the exception being mostly Apple devices. Of course social media! Post that video everywhere you can! It's almost like social media was created for video and vice versa. Your company Facebook page, Twitter, LinkedIn and every other platform you have. Depending on the type of company video you made will depend on the results that you get from social media. That's a great post from Cameron, and I suggest you read the full article that gives even more reasons and ways to use your videos. Videos that show the inner workings of your business and show the human side of your business are GREAT for social media. People don't like connecting with businesses, they like connecting with other human beings :) Also remember to ASK for shares and likes of your video to help get it out to more potential customers. Will Regular Blogging Help Generate Traffic To YOUR Site? Blogging. Some people love to write, others hate it. But the question we want to address here is will blogging on a regular basis really help drive traffic to your website? The short answer is Yes. But, you have to do it properly, otherwise you are just putting up content without helping drive visitors to your site. This will more than likely be the first in a series about blogging. The first thing to make sure that your posts drive traffic is to know how to create engaging content to get people to read and ultimately share your content. The first part of your blog post, and probably the most important is the title. Writing engaging titles that sparks interest with your audience is a must. One of our favorite tactics for this is making our title a question, such as the title for this post. In our opinion it really helps spark the interest of potential readers, especially to people that are really seeking the information that your blog post is about. Great post from Rizvan. He also covers more about how he uses questions to drive user engagement as well as using superlatives and being to the point. If you are having problems coming up with engaging titles, read the full article. When it comes to writing the article itself we really like Rizvan's point of being to the point. With some business types or niches, it's even possible to help tell a story. I don't want to get to in depth about how to write, as this post is more about will blogging get you more traffic and how. One of the most important reasons that we want a catchy title is for our next point, sharing and getting your content shared on social media. A lot of local search engine optimization companies skip or don't even address the importance of using social media. Using social media is part of our core SEO strategies. After all, our objective is to drive more traffic to your site and get more sales. You really don't care where the traffic or sales come from, as long as they come. So once you have crafted and posted your new article, go ahead and share it on your social media profiles, especially your business profiles (which you should definitely have!). And here is the kicker, ASK people to retweet, share and like your content. Studies show that asking people politely such as "please retweet" or "please like and share" can practically double the amounts of retweets and shares a piece of content gets. We don't think the search engines put a lot of weight on likes but they do on shares, so the more shares the better. For more on likes vs shares, check out this post - "Will Social Media Help With Your SEO?" So to sum it up with social media, the more shares, the more eyes that will be on your content driving more traffic to your site. Okay, so we have a good post that is being shared across social media and your site is getting more traffic. However, there are some things that you MUST avoid to keep people from bouncing off or clicking the back button and leaving your site. One of my biggest pet peeves is pop ups. Everyone has seen them. You are looking for some information, a headline gets your attention, you visit the site, and right away you are bombarded with a pop up trying to get you to sign up or buy something. Then sometimes there are multiple pop ups, one right after the other. Sometimes you can't even find the "X" to click out of the darn thing. In those cases, I always hit the back button. Advertisements make for a spammy, ugly blog. Some bloggers put ads everywhere you can imagine. They might place an ad between paragraphs, inside popups, in the header, on sidebars, or even sugarcoat an ad as “other relevant resources” at the bottom of a post. The truth is that, yes, there is tons of money to be made with these kinds of strategies. Scott DeLong, founder of ViralNova, sold his site for $100 million. His site was similar to BuzzFeed and was chock full of advertising. His success (though big part of it depends on how he grew his site traffic, not jamming ads to his site) has sparked ambitious bloggers to build a similar site/blog and maximize the number of ads they can squeeze onto one page. Continue Reading "9 Reasons I Hate Your Blog". Be sure and read that full article as it really has some great tips as to what to avoid with your blog to help keep people on page and not click the back button. It's funny that earlier in that article another thing that makes them "hate" a blog is pop ups. I'll give you one more tip with pop ups, because we know that they do work. In my honest opinion, the best place to have them is when someone is getting ready to leave your page. That way they have had the opportunity to absorb your content, and if you did a good job, maybe they will subscribe, or do whatever it is that you want them to. In my honest opinion, if you craft your post correctly with good titles, Yes, they will help generate traffic to your site by getting more clicks in the organic searches as well as getting shared more across the social media networks. More clicks + more shares = MORE TRAFFIC AND MORE SALES! via Blogger Will Regular Blogging Help Generate Traffic To YOUR Site? We are Atlanta's Premiere Digital Marketing Company! We handle all of your Internet Marketing Needs from Website Design, Adwords Campaigns, SEO (Search Engine Optimization), Google My Business, Social Media Marketing including Video, Directory Listings and Reputation Management. Now there is no need to have several companies handle all the different aspects of your companies digital marketing - get it all done under one roof by the best - ﻿MD Internet Marketing Solutions﻿!